I couldn't resist the urge to get started. 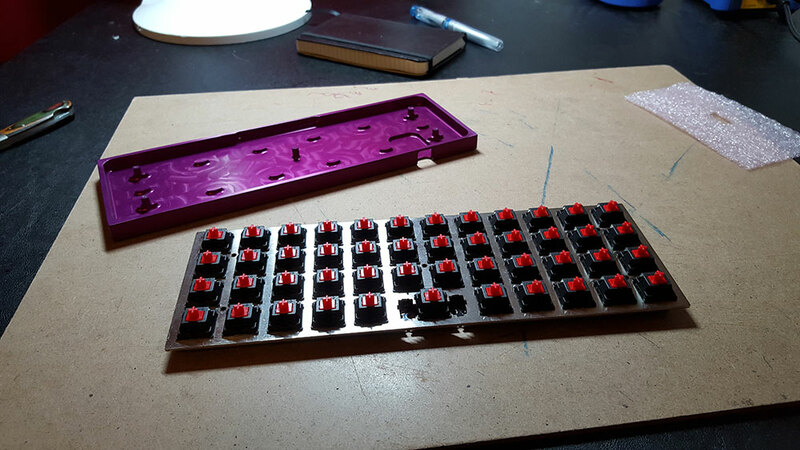 Switches in! I had maybe four with bent pens and I had to re-seat them, but nothing that couldn't be fixed. While I ended up not needing them, I really appreciate that Jack threw in a couple of extra switches, just in case, and at no charge. I love that anodized purple case so much. 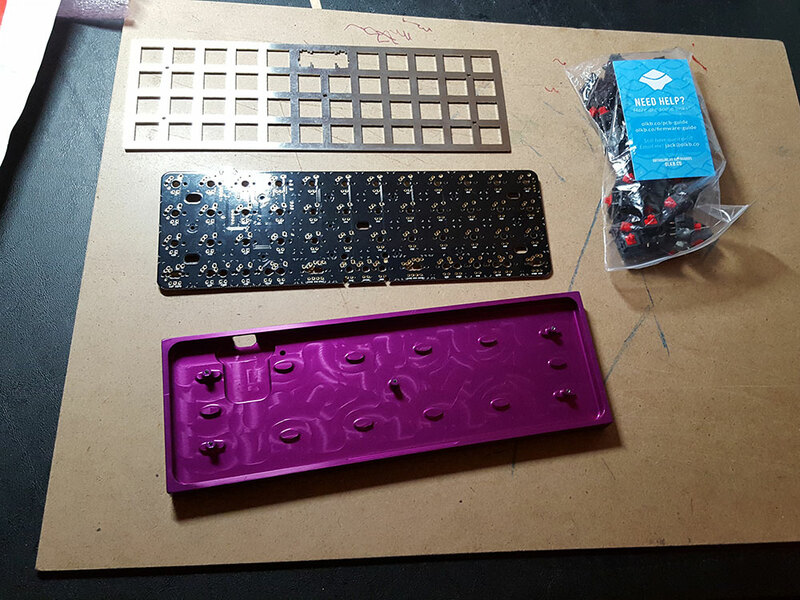 I opted not to use a stabilizer for the 2u key, because the one that was included fit a little loosely and it should be fine without it, anyway. 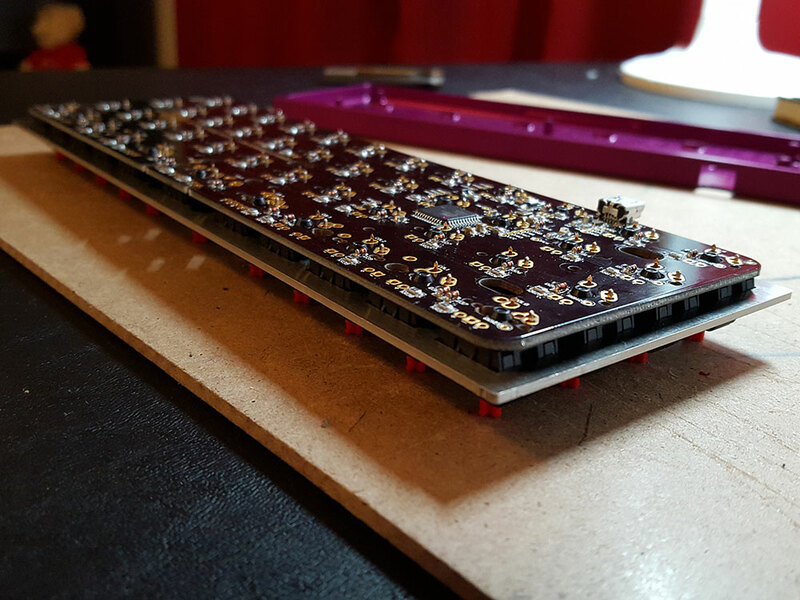 Ready for soldering and easy to see. I won't get this finished up for a bit, though. I'm still not feeling 100% confident enough to tackle this yet and I want to do another little practice project first (which is also a piece of Valentine's nerdery, so there's a deadline). My keycaps shipped today, too! I ordered white alphas with orange legends and orange blanks for the modifier keys. I think it'll look good with the purple, though green was very tempting.